Solitary Wiccan practitioner, Leanne, loves Halloween and dressing up for the children. She never loses sight of the fact that it’s a holiday. Unfortunately, as she’s preparing her late evening spells, someone calls up a demon who lands in her yard. Fortunately for Leanne, her cat knows more about magic, real magic, than she does. Unfortunately, the young women who have called the demon hate the idea of having to send it back. Even with Bast’s help, no one can be assured of success or even living through the conflict! 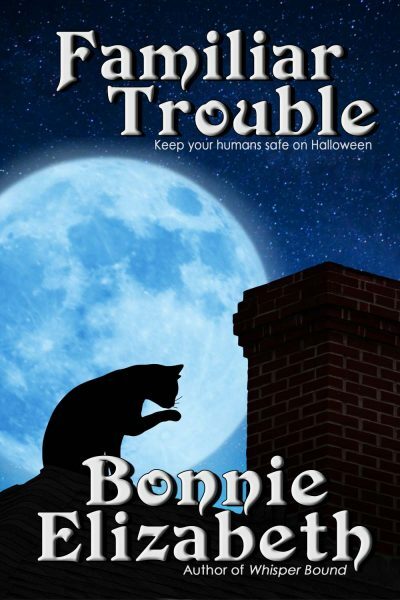 Familiar Trouble is a short Halloween story by Bonnie Elizabeth.